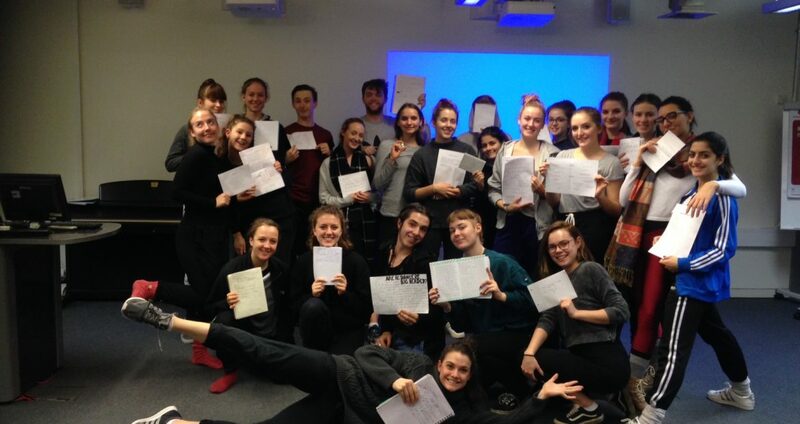 Having just wrapped up 10 (short) weeks of teaching the course “Ways of Seeing” (a title possibly inspired by John Berger’s book by the same name) for 100 BA students at Trinity Laban Conservatoire of Music & Dance. On our last day I invited them to write a manifesto for dance. We first looked at Rainer’s “No Manifesto” and other ones from Fluxus and Dada movements as well as a hilarious one by Grayson Perry. The manifestos ranged from heroic to apologetic and from joyous to dread. Dance, like all things in life comes with its own contradictions and rewards. It was a pleasure working with these groups of young thinkers and doers. Here is to a future of dancing!